How to Throw a Backyard Grilling Party? Grilling parties are fun, but they do require careful planning. You should think well in advance about the date, time, and what you will need for the cooking and the setup. You may need to order some ingredients in advance. It’s generally a smart ideas to plan in advance so you won’t risk disappointing your guests. The perfect grilled steak is not possible without the right BBQ equipment. So make sure you have everything you need well in advance. You may think you have a mesh grill for veggies only to find out the last minute that you actually don’t. Also, when was the last time you used a grill? Fire it up about a week or two ahead to make sure it works as it should. If you need replacement parts like knobs, valves, or hoses, you should order with plenty of time until the party date. Don’t leave this testing segment to the last minute just for that reason. Not everyone would be thrilling to chomp down on the juicy steaks, ribs, sausages, and what have you. Keep in mind that some of your guests will be vegetarian, or would at least prefer veggie dishes. Therefore, make sure you include vegetarian options in the menu. Grill plenty of veggies and consider buying soy protein versions of actual meat. Make sure the guests aren’t allergic to anything either. You will have to do your best to protect against allergens if any of the guest suffer from reactions. Obviously, the time spent waiting for the meat to grill while the air fills with delicious aroma is positively torturous. Instead of leaving your guests writhing in hunger and anticipation, make sure you include plenty of appetizers or starters for guests to much on. Keep the starters simple so that guests don’t eat too much before the actual barbeque. What’s a good steak without the sides? You can get innovative with the sides you offer with the barbeque. Just make sure it’s more than just ketchup and mustard. Preparing sides for barbeque is not that difficult. There are simple dishes like creamy coleslaw, mashed potatoes, or cucumber and onion salads that are so easy to prepare, and yet pairs so well with barbeque main dishes. You can spend time prepping the sides, but if you are out of time, buy it from a local store or a restaurant. 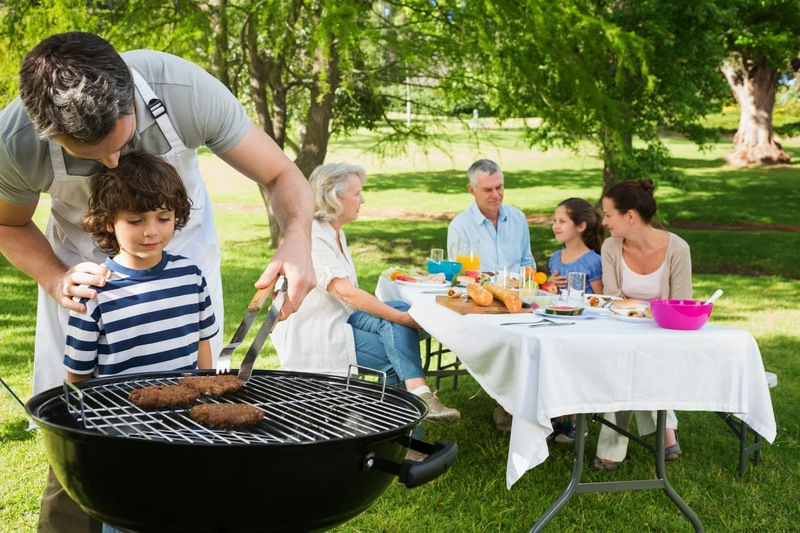 Make sure you don’t fire up the grill without the necessary safety gadgets nearby. Have a fire extinguisher at the ready, among other things. Use the above tips and you will be able to throw a grilling party that the guests will remember for years to come.